Can’t decide if you want to go bowling or play baseball? Why not do both? Play Base-bowl. 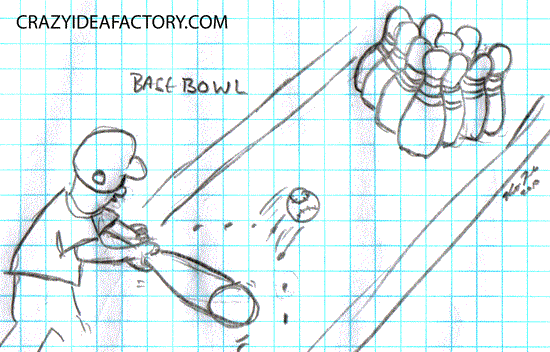 Base-bowl is a game that is played in a special bowling ally where the batter/bowler stands at the plate, a ball pops up and the batter/bowler tries to hit the ball into the pins and knock as many down as possible. Scoring is the same as in standard bowling the only big change is hitting a baseball at the pins instead of rolling a bowling ball at the pins. The biggest problem with the game is going to be deciding what the “strike” will refer to, will it be a good thing or a bad thing?